Home All How Much Does VR Application Development Cost? VR development is supposed to be the future of tech. The market is just about to explode. With the long expected Oculus Rift, HTC Vive and Gear VR finally shipping as well as the market’s old-timer Google Cardboard, the year 2017 is going to be critical. VR technology is being successfully applied in healthcare, education, military, architecture, and it’s a great way for business owners to acquaint their customers with their goods and services. Nevertheless, the market of VR app development is currently unoccupied. 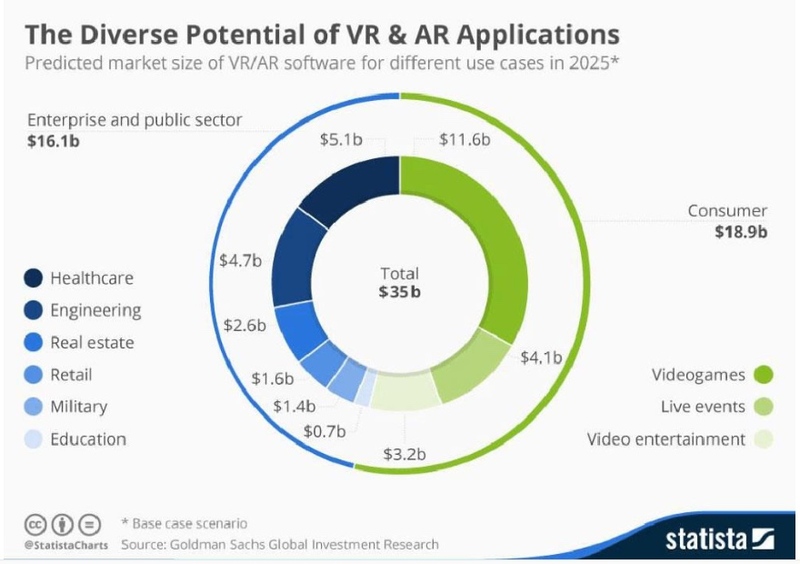 It is waiting for a killer app and this is a great opportunity for startups and running businesses to find their niche and to become the Uber of virtual reality. 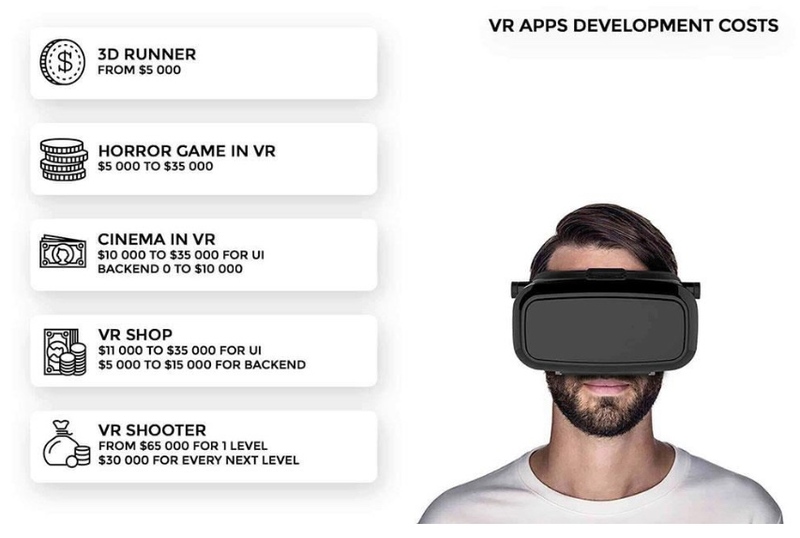 You now may be wondering how much will it cost to build a VR application? This overview will show you the main stages of product estimation and help you with calculating the approximate costs of your virtual reality application development. Every development process should start with detailed project documentation. This is the guarantee that the VR application will exactly meet the needs of the customer. It should include all the important information about the project. Start with functional specifications, the main idea of the VR app development, and its key features. 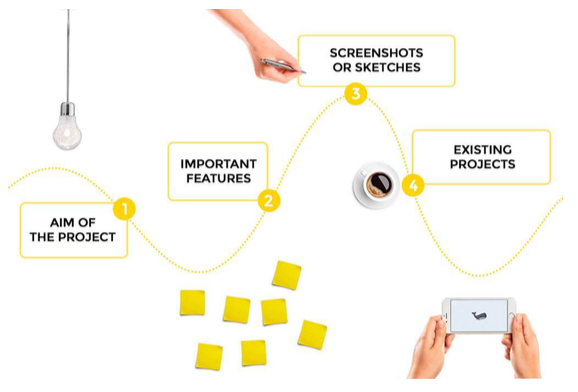 If you can include some photos, screenshots or hand sketches to illustrate the characteristics of the app – do it. With precise documentation, the virtual or augmented reality app developers team will be able to offer the best solution according to the needs of the customer. Don’t forget the user story. Specify which problems your potential user has and how your VR application is going to solve them. Describe the journey through the VR app development. Where does the user start? Which actions does he/she take? How much time do they spend with your virtual reality mobile app? And in which way will your project make their life better? It’s very important to make VR content for successful development. Knowing the user and their problems, the developer will be able to find the best technical solution to make the application usage smooth and seamless. The project documentation must be a clear guide for the developers about the ideas and expectations of the customer. Sometimes, some better solutions can be found. The development company will then adjust the documentation after the discussion with the customer. The project documentation can be written by the virtual reality company. In case the customer decides to order such a service, it can take 3 to 10 days, and is paid according to the rates of the VR company. Depending on the complexity of the app, the development time can vary from 1 month up to several years. 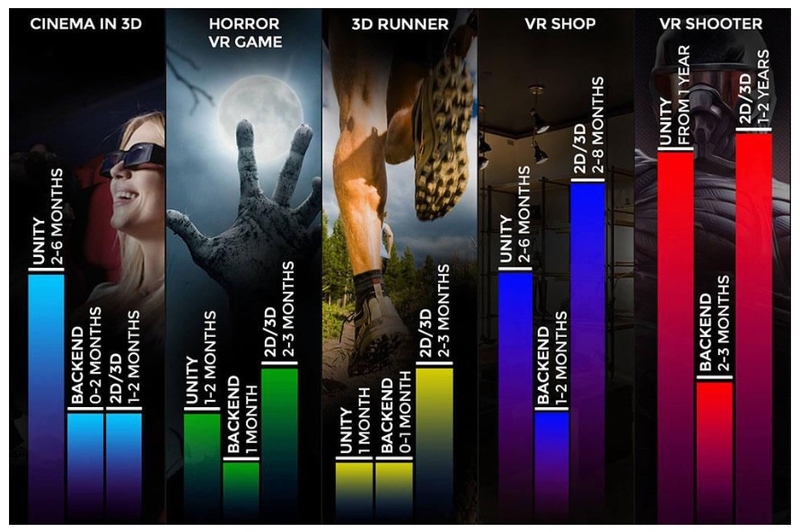 This chart will give you a brief overview about the development time of VR/AR products starting with the simplest and up to the most complicated ones. Imagine a simple VR game, where the protagonist is falling (running, flying etc.) toward the finish line and has to avoid some barriers like stones, meteors or other players. The protagonist will see the changing landscapes, the coming barriers and hear the strong wind. This kind of game is considered to be one of the simplest virtual reality apps for iOS or Android and can be created by one developer in just one month. A great application every business can take advantage of is an online shop in 3D. Let’s assume a company is selling watches and wants to increase the customer engagement. In a VR or AR online shop, the customer can look around the watch they like or even try it on. 3D model designs for an online shop in VR or AR will take 1 month, the app development will take around 2-3 months for 2 coders, including the backend development. Horror games in VR as realistic as they are with the latest virtual reality technology are a true sensation among gamers. The development of such a game will take 3-6 months and more with 3 developers involved in the process. Creating 3D models for virtual reality applications is normal, but what about creating them in virtual reality? Some VR apps make it possible. To develop a prototype of such an app will take 3-6 months. the MMORPG. A VR MMORPG development can last 6-12 months and involve 10+ developers. Fixed price is preferred when you have a limited budget and strict deadlines. For a successful VR app development with fixed price, you have to provide detailed project documentation. 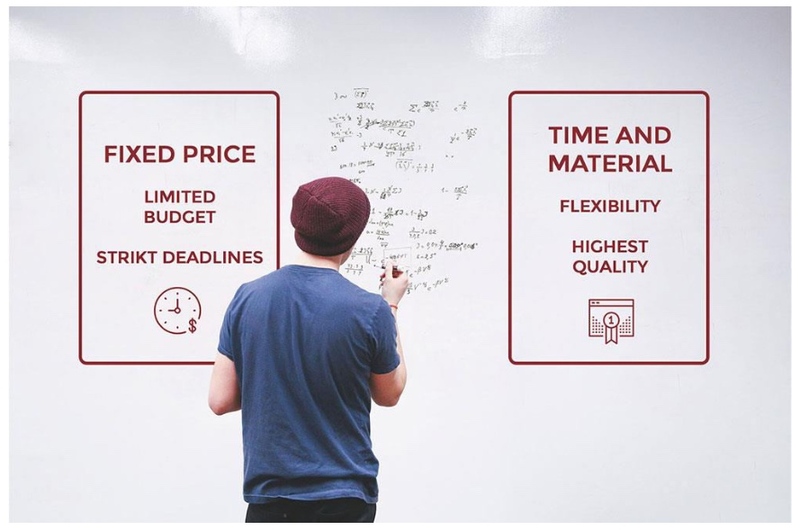 If you have flexibility and the budget, it’s better to choose the time and material pricing method. The customer will be able to modify the project on the go, add some new features or change the existing ones. Communication between the customer and the developer agency is essential to make such a product successful, especially if you’re developing virtual reality applications. Every change during the development process might result in some additional hours or even days of coding that will be paid according to the current rates of the company. 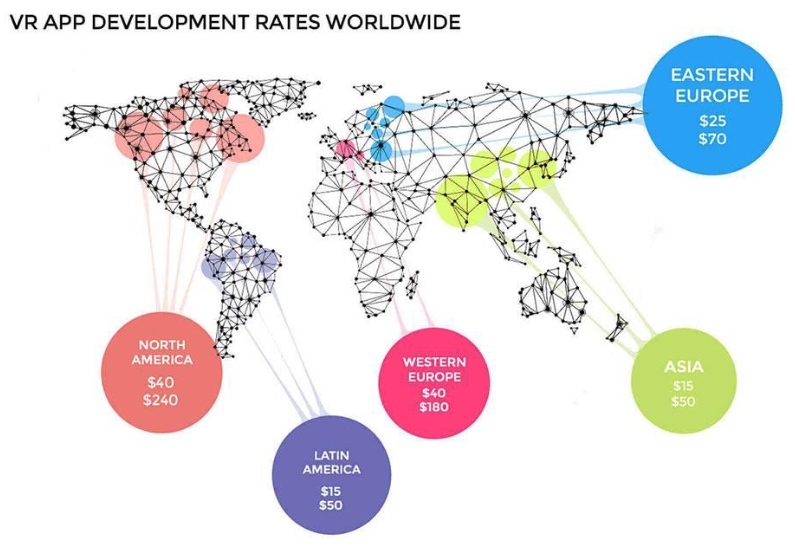 Rates for VR app development differ according to the country of residence of the agency you’re working with. In the US and Canada, you’ll be charged between $40-$240 per hour, in Western Europe $40-$180 per hour, in Eastern Europe $25-$70 per hour, and in India $5-$70 per hour. Estimation of the virtual and augmented reality application development, as well as all the management, are the responsibility of the project manager (PM). The tasks of the project manager can be divided into 5 areas: planning, organizing, leading, controlling and workshop planning. If done well, these five components will ensure a successful project. Planning is the essential duty of every PM. At this stage, they make a clear estimation of the project, decide what needs to be done, divides the project into separate sprints and develops the project schedule. The organizing stage includes work with human resources. The PM has to find indivduals for each single task, build the development team and identify the roles and positions. Some services may be provided by external specialists. Leading is mostly about soft skills of the PM. Communication, team motivation, and conflict resolution are their main duties, that influence the development process and the final result significantly. Controlling means tracking project progress: measuring, evaluating, correcting. Conducting regular meetings will help the project manager be up-to-date and never lose control of the process. Workshop planning is an optional service and can involve the PM or the developers, who visit the customer in their office. Workshops can be dedicated to project launch or further cooperation discussion. Such events are conducted at the customer’s request when some questions need to be discussed directly. The project plan is never constant and should be revised and corrected on a regular basis. Not less important are weekly meetings or calls with the customer. The PM reports about the current status of the project, plans for the next week, and discusses with the customer all the issues or new ideas. The success of the project depends greatly on the professionalism of the PM, their experience and the ability to manage and motivate the team. The team for VR application development mostly includes one designer, one or two QA engineers, and several developers, depending on the size of the project. Some virtual and augmented reality app development companies offer designer services as well, but at this point, the customer should be careful. Creating designs for VR applications is quite different than for mobile or the web, and certain knowledge and experience is mandatory. If there is a 3D designer that is working with a Unity3D team on regular basis, this should work properly. If the company assigns a mobile UX/UI designer to work on your project, watch out! Sometimes it’s a better decision to assign an external designer with experience. It’s also a good practice for customers to deliver ready 3D models for development or at least 2D models that can be refined and adapted for VR and AR. The testing and bug fixing phase is essential for every project. No single product can be developed without any bugs that need to be revealed and fixed on time. Around 20% to 30% of the VR application development process is dedicated to testing. Post production can include maintenance of the application or further development like adding new features to the existing application. Post production maintenance of the app and its costs depend a lot on the company you are working with. If the customer decides to add a new feature to their VR application or to change the existing one, it is considered a new task and the estimation process is started again. Such assignments are paid according to the hourly rate of the development agency.